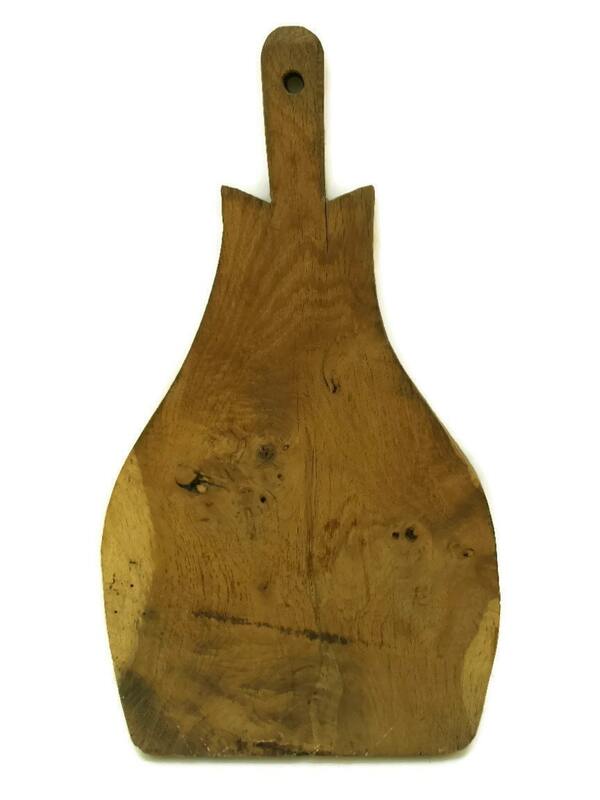 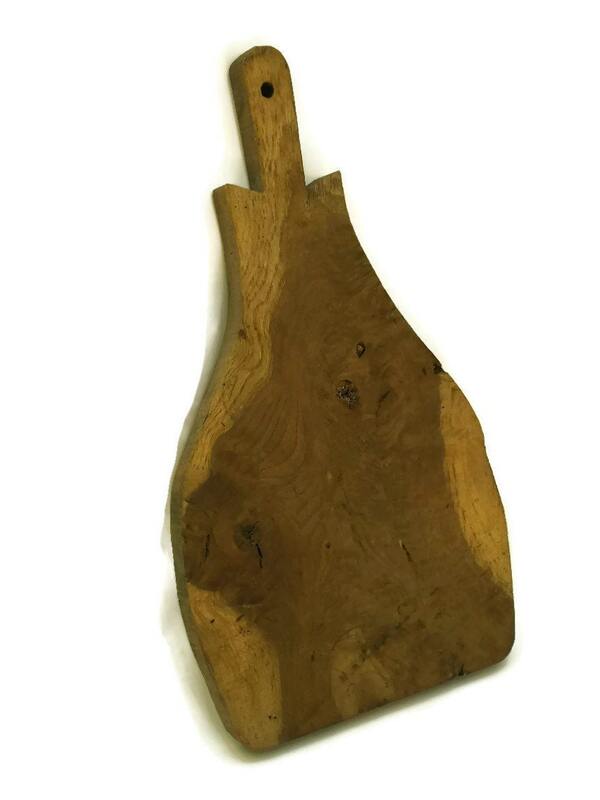 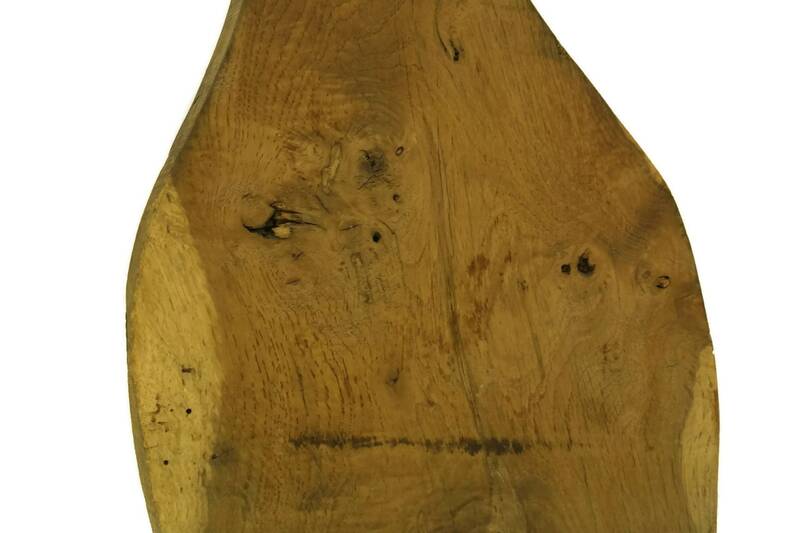 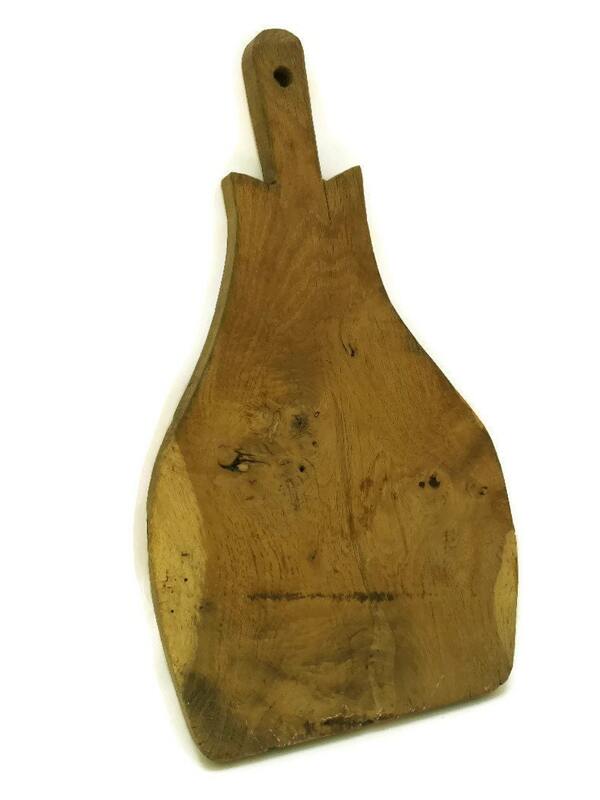 A large antique French chopping board created with an elegant pear form. 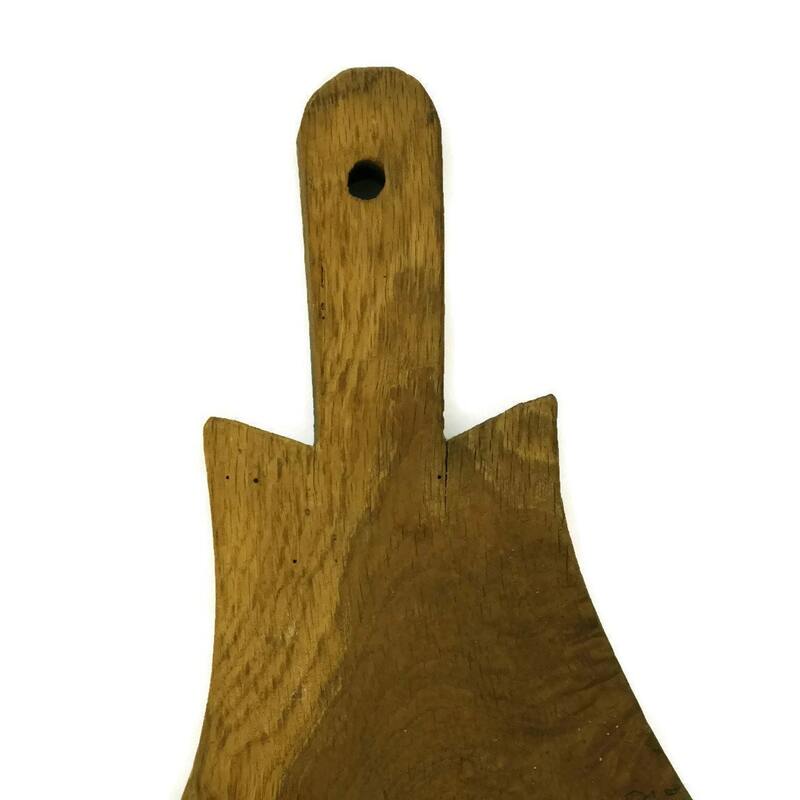 It has been hand crafted from solid wood and has a hole in the handle for hanging. 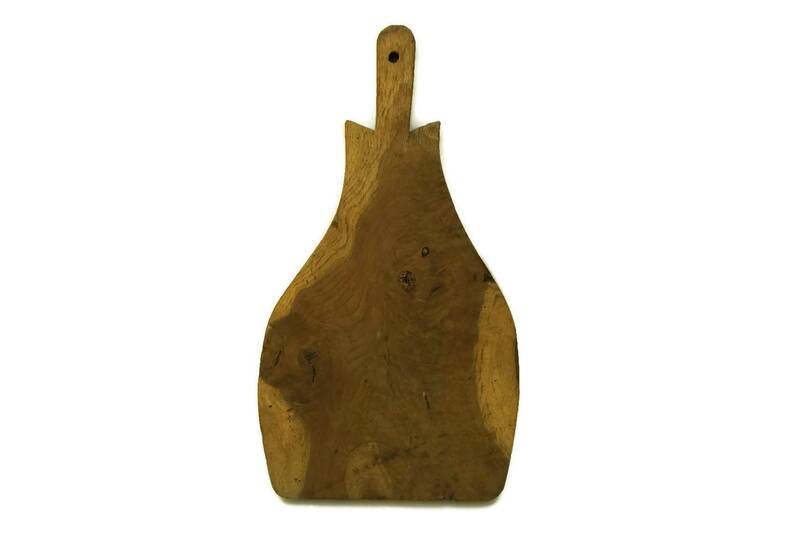 The board is filled with rustic character and and is perfect for cutting as well as to add an authentic French country accent to your kitchen deocr. 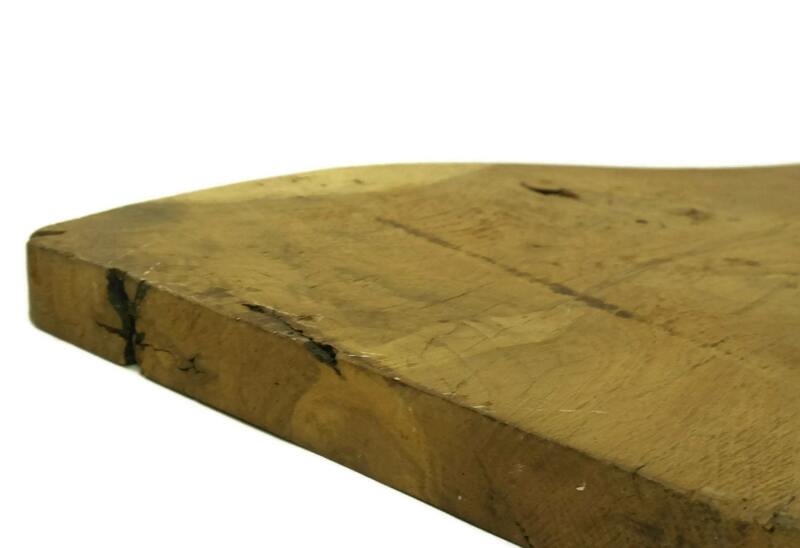 20" Long x 11" Wide (50 cm x 28 cm). 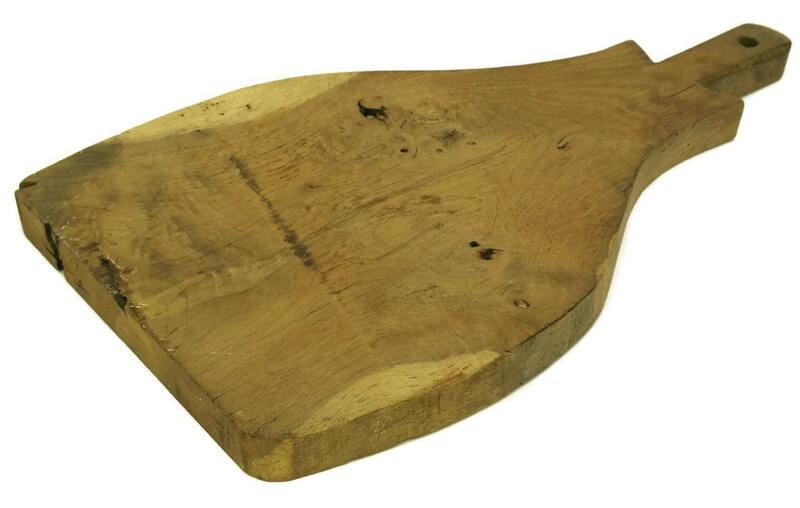 The wooden chopping board is in very good condition with light signs of age and wear. 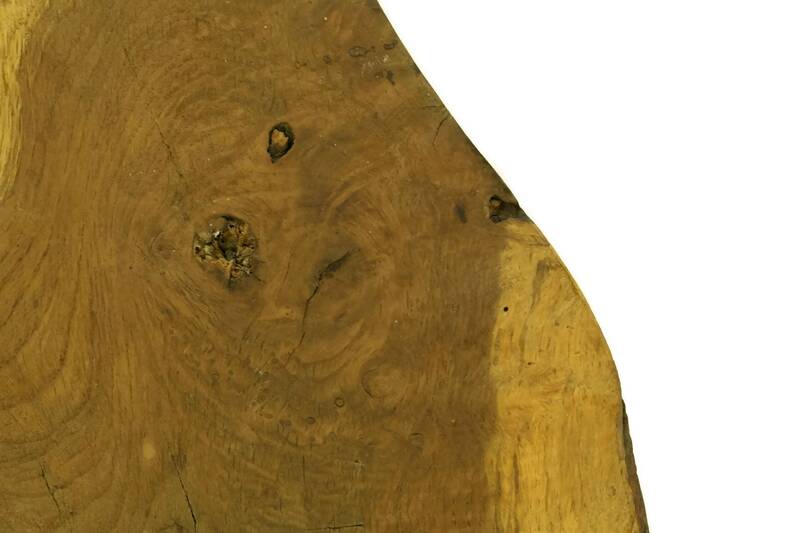 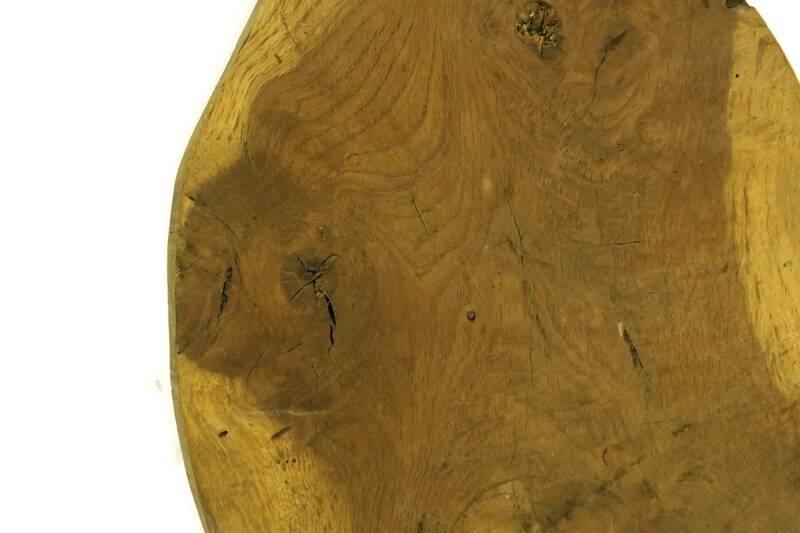 The wood has natural knots that add to its charm.